I wanted to treat the kids to homemade ice cream sundaes last night. I have been wanting to try making my own chocolate sauce for awhile, so this seemed like a good time to try. I first searched the internet for a recipe, of course. I didn’t find one that was exactly like I wanted, so I made a few changes. I didn’t want to use corn syrup or evaporated milk, or water. Here’s what I came up with. combine the above in a saucepan and bring to a boil while stirring. Once it boils, continue to cook for 2-3 minutes stirring constantly. Let cool, and pour into a jar. Or in our case, serve warm over ice cream! This recipe makes a nice, thick sauce for ice cream or other desserts. If you want a thinner sauce for chocolate milk, you can use water instead of milk in this recipe. I didn’t get a picture of it on ice cream, it was eaten too fast! It made plenty of sauce, too. The picture above is a pint canning jar. That’s what was left after we all had some on ice cream. Looks Great, I can't wait to try making some! I'm also going to try your no bake cookies! That looks soooooo good! My kids would love that. Hi there! Thanks so much for visiting Gerber Days and entering the giveaway! I sure hope you win! This chocolate sauce looks absolutely divine… Don't know if I could control myself around it. I'm following you right back! Yummo! Warm chocolate over ice cream! That sounds delish! That sounds delicious!! So glad you stopped by and linked it up! 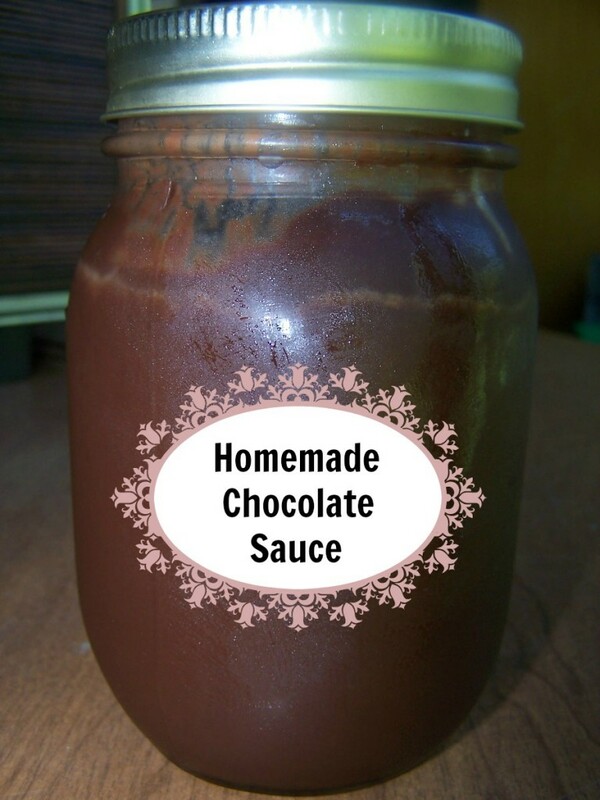 I love homemade chocolate sauce. I don't do corn syrup, so started making this a few years ago…yummy! That looks really good Linda! As a Russian I grew up with traditional Matryoshkas (they were wooden dolls that stacked inside one another) so I can totally appreciate the awesomeness associated with them. I personally own measuring cups that are similar to your Babushkups and I adore them!